Hungarian Tamás Pálfalvi stands out as one of the most visionary and innovative trumpet players of today. Armed with enormous virtuosity, stage presence and extraordinary musical concept, Pálfalvi won the first Fanny-Mendelssohn-Förderpreis in 2015, a German competition that was created to reward not only the performance of young musicians, but also their conceptual skills and creativity. He was also awarded the WEMAG Soloist Award at Festspiele Mecklenburg-Vorpommern. Highlights of the past seasons include performances with Los Angeles Philharmonic at Hollywood Bowl, with Camerata Salzburg at Rheingau Musik Festival and at KKL Lucerne, with Zürich Chamber Orchestra at Festspiele Mecklenburg-Vorpommern, appearances at Beethoven Easter Festival Warsaw and AI Bustan Festival, among others. At his sold-out début at the main hall of Hamburg Elbphilharmonie in May 2018, he explored the contrasts of the trumpet organ repertoire with organ virtuoso Christian Schmitt. 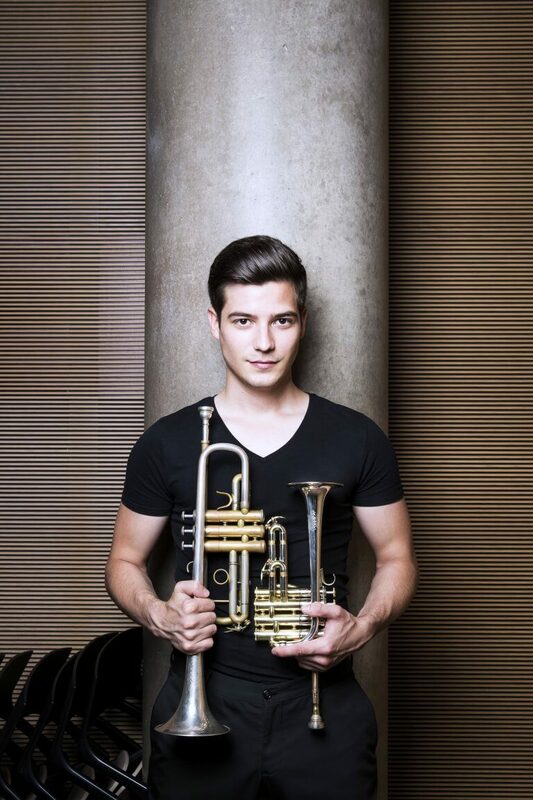 As one of the ECHO Rising Stars 2017/2018, he has performed in major concert halls across Europe such as the Concertgebouw Amsterdam, Philharmonie Luxembourg, Elbphilharmonie Hamburg, Konzerthaus Dortmund and BOZAR in Brussels. He performed the world première of Peter Eötvös’ new piece for solo trumpet at Concertgebouw in 2017, and will perform his seldom performed trumpet concerto Jet Stream with the Czech Philharmonic in 2019. Pálfalvi has also performed at venues and festivals including Carnegie Hall, Lincoln Center, Suntory Hall, NCPA Beijing, Pacific Music Festival and Bologna Festival. He has played with orchestras such as Royal Philharmonic and Budapest Festival Orchestra and under the baton of Fabio Luisi, Christoph Eschenbach, Peter Eötvös, Matthias Pintscher and Zoltán Kocsis. Released in 2015 by Berlin Classics, Pálfalvi’s début CD Agitato features works by Vivaldi, Telemann and Handel, intertwined with contemporary works. It was met with rave reviews internationally, with Bavarian Radio listing it as “CD of the Month” and NDR as “CD of the Week”. 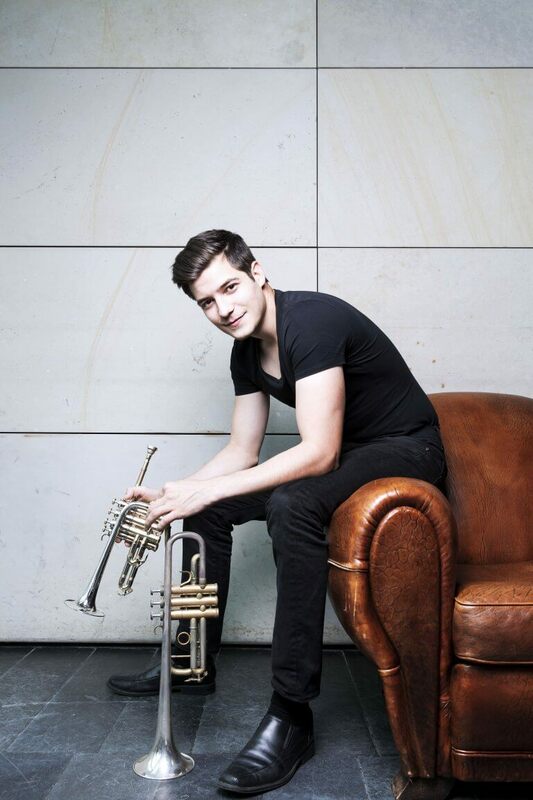 Born in Hungary in 1991, Pálfalvi took up trumpet lessons at the age of 8 and entered the Leó Weiner Conservatory of Music in Budapest in 2005. In 2009, he was awarded a scholarship for Bard College in New York, where he studied under Carl Albach and Edward Carroll until 2012. He then returned to Budapest to study at Franz Liszt Music Academy under Gábor Boldoczki, where he received his master’s degree in 2016.